Norwegian Cruise Line has officially announced the cruise lines upcoming cruise ships home port. 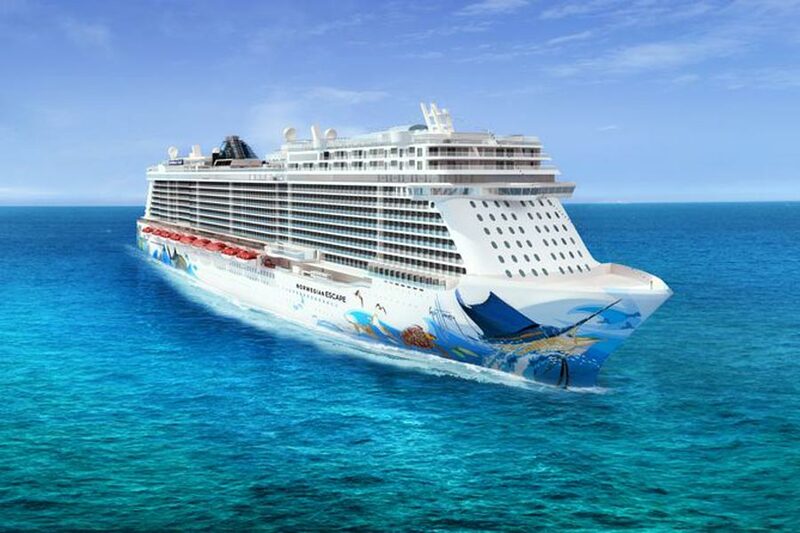 The largest ever vessel for NCL will sail out of Miami, Florida year round once it enters service in November 2015. PortMiami is the cruising hub of the industry and NCL has recently just launched Norwegian Getaways year-round cruises from Miami. Now with Norwegian Escape also sailing from the Port it will increase the cruise lines presence in the region and will rival Carnival Cruise Lines and Royal Caribbean. Norwegian Escape which will be the largest cruise ship in the fleet will be doing 7-day Eastern Caribbean cruises all year round calling at Tortola, British Virgin Islands; St. Thomas, U.S. Virgin Islands; and Nassau, Bahamas. Norwegian Cruise Lines has also revealed the ships Hull Artwork which you can see in the main image at the top of this page. The artwork fits in well with the Miami style and looks like its part of the ocean. Its been designed by famed artist Guy Harvey who is recognized as the world’s finest marine wildlife artist and champion of ocean conservation. The new artwork was revealed during the Cruise Shipping Miami convention which is one of the cruise industry highlights of the year where cruise line executives and cruise related professional discuss cruising trends. Guy Harvey is a total marine person and anything he does is related to marine life. He lives in Grand Cayman which is a perfect place to explore the world underwater and his 1065 feet Norwegian Escape artwork is a great example. Norwegian Escape is currently being built at the Meyer Werft shipyard on Papenburg, Germany and when completed it will 163,000 tons making it the cruise lines largest ever cruise ship. It will carry 4,200 passengers and is expected to enter service in October 2015. What do you think of the new Hull Artwork? Let us know in the comments below.